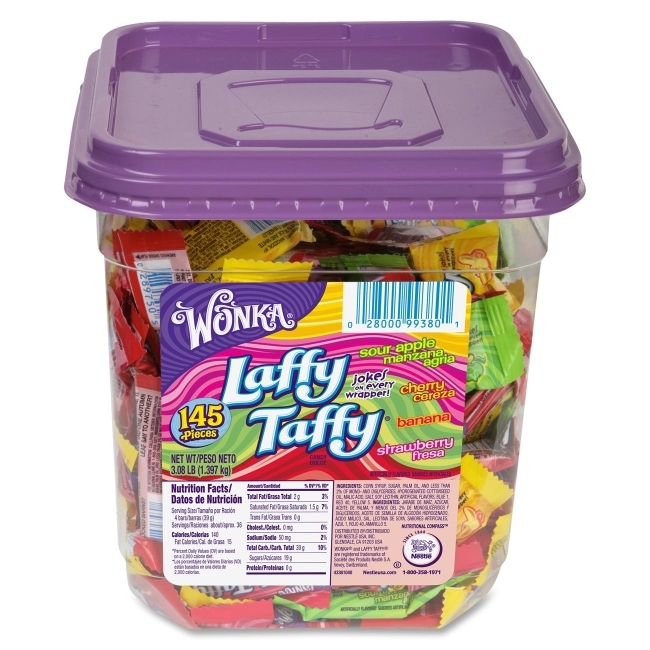 Laffy Taffy comes in bite-size pieces for the ideal snack. Great-tasting taffy pieces are individually wrapped with a "goofy" joke on each wrapper. Flavors include sour apple, cherry, banana and strawberry. Laffy Taffy comes in a resealable plastic jar.